REASON 1: Each piece of the influence puzzle counts. The on-line buzz feeds the real world buzz, creating a snowball effect. John Wannamaker said it in the 19th Century: “Half the money I spend on advertising is wasted; the trouble is I don’t know which half.” The same happens with film advertisement in a festival: producers and international sales agents target buyers with many different ad combinations, but they don’t know exactly which one brings the best results. This is probably because all the different marketing tools contribute in their own specific way towards the buzz puzzle. Once opinion leaders, buyers and journalists realize that a given film is good and suitable for the market, the festival buzz is set off: in festival corridors, at parties, cocktails and dinners, the buzz starts, magically activated. With the advent of social media, the festival buzz also wanders through the Internet and this is why film producers and sales agents need to orchestrate that conversation and do their utmost to take the social media message beyond their own closed communities. Traditionally, the five main business-to-business advertising tools for international sales agents to pitch their buyers have been: stands and one-to-one meetings, outdoor billboards and advertisement, market screenings, and ads placed in trade and festival publications. All these marketing tools are complemented by a PR strategy that drives opinion beyond the business-to-business scope by involving media aimed at the final audience (business-to-consumer). Social media empower the audience with opinion leadership. It has thus become a crucial and incontestable tool to complement a PR strategy and the festival buzz effect. Being, as it is, business-to-business (mainly Twitter) and Business-to-Consumer (mainly Facebook) in one, the complementarity of targets and goals in social media allows maximum viability to be reaped from both. REASON 3: Facebook AND TWITTER Ads Insights are like a live market study: ONE can test different niches and audiences, see reactions and measure impact. When a film is released at a festival, it is barely out of the editing room. 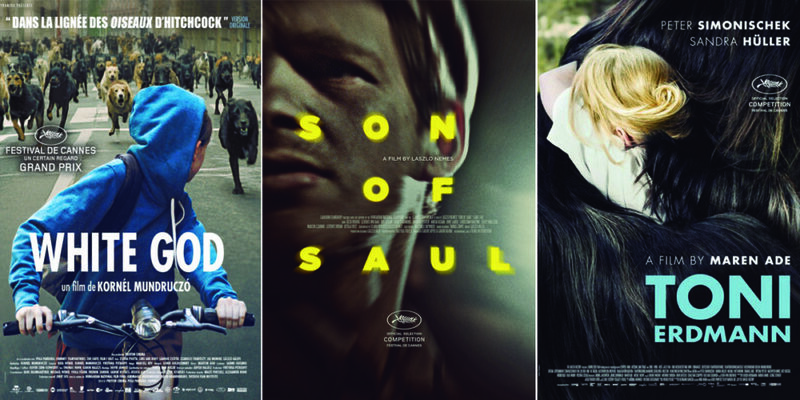 When their films are selected, film professionals immediately have run to a designer to craft a poster and a trailer, often without pausing to think of what the audience of the film is. Social media allow for real-time grasping of exactly who engages with the film and is thrilled with it. By the end of the festival it is possible to have clear insights into the nature, essence and motivations of the audience (and which audience), i.e., what really has driven audiences to see the film. More than 80% of film spectators in Europe go on-line every day, 71% login to social media daily and 74% of consumers rely on social networks to guide purchase decisions, 71% of whom are more likely to make a purchase based on Social Media referrals (CNC). In parallel, spectators have always considered their friends and close acquaintances the most important and trustworthy source of information for a film. Now that their friends (and those who are more than friends!) are all on-line, the word-of-mouth tool par excellence is social media. A driver of opinion is crucial to international release from the very outset. REASON 5: Social media are the best channel to boost a trailer, the most important marketing tool of a film campaign. After sharing the trailer in Trade Outlets such as Screen International, Variety, Indiewire, Cineuropa, Twitch or The Hollywood Reporter, it is important to take the trailer messages beyond the realm of the cinephile community. The click-into rate of a film video is 7 times greater than that for other videos, and given that social media are the key platforms for video and audience empowerment, strategic roads overlap here, to deliver excellent results. REASON 6: International scope has become crucial for the exposure of films. Traditionally, independent industry players have defended the territorial essence of the film business. Of course, there are countless factors that can affect the success or failure of a film from one territory to the other (release dates, the size and quality of the campaign, competition from other films on the same weekend of release, etc.) but audiences are not necessarily that different. With regard to independent film buffs (mainly the so-called movie selectives or the hyper-connected movie addicts)*, demographic and interest profiles don’t vary much from country to country. What does vary is demographic size. It is therefore possible to establish the global audience of a film through social media and subsequently work on strategic segmentation on a local basis. Think Global, Act Local actually applies well here and delivers results. REASON 7: Web marketing allows us to reach young audiences RELUCTANT TO GO TO CINEMAS, AND OUTSIDE THE DAY-TO-DAY DYNAMICS OF INDEPENDENT FILM. Audiences of independent films are aging dramatically across every continent (The Guardian, Celluloid Junkie, Independent). Distributors tend to go mainly for classic marketing spending that targets elderly* audiences who are likely to go to cinemas. In the meantime, the exodus of young audiences, who are moving further and further away from the consumption of indie films, is alarming. Social media allow for targeting and interactive engagement amongst groups and niches that wouldn’t be exposed to indie films per se. The advent of VOD distribution merges on-line promotion channels with on-line screens. Distribution and promotion should therefore become more and more intrinsically linked. Social media allow for the building of this new path and target key communities that can consume the film directly on-line. Social media fans can follow the film as it reaches every milestone, their interest in it growing apace as they witness this. As the film makes its way through the usual festival, awards and release circuits, social media are there to serve as an interactive diary of everything achieved along the way. The longer the audience is exposed to a film, the more it would feel it as something that is part of their own lives. The observable trend with the communities and niches that gather around a film is for organic, lasting growth, which allows for the deflation of marketing spending in the course of the shelf life of films. Once there is an engaged community with a film, this becomes a springboard of digital tools. Distributors can access the Global Facebook Profile of the film as releases take place in their territory and can activate new ways to reach audiences locally: Youtubers, Influencers, Bloggers, Video Seeding, YouTube True View, live streaming, Internet Q&As, contests, street marketing initiatives or events, are but a few of the tools that can trigger off a consistent fan base for a film. If you want to check key examples of social media actions during festivals click here.